Pre-Orders for Tall, Dark and Wicked Available Now! The winner was Dottie, who has responded to the email informing her. Thanks, everyone who entered! I participated in a fun project that is free to readers. 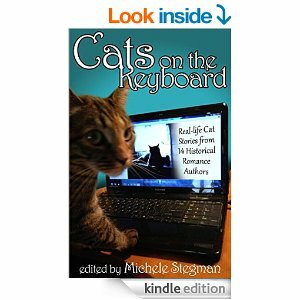 A group of other authors and I contributed short stories about our cats to a collection called Cats on the Keyboard. The download also includes excerpts from our romance novels. You can find it on Amazon at http://amzn.com/B00VKQE914 My contribution is about my current cat, Ivan.